All of our tours originate from North Perry Airport. 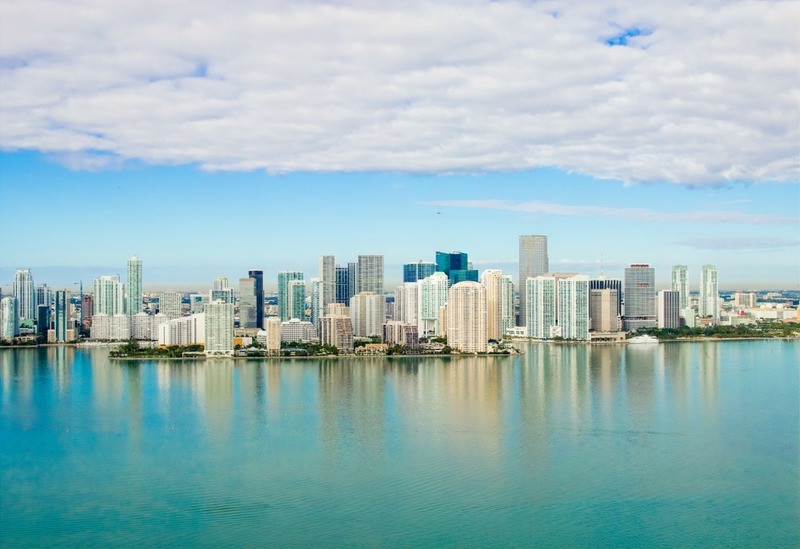 We can give you views as north as Pompano Beach, Florida to as south as Key Biscayne, all for an extremely affordable price for for families and individuals to experience a nice views of South Florida. Our luxury Cessna 172 has been approved by the FAA (LOA) plane already past all safety standards. All with leather interior feature oversize windows that make every seat the best seat and allows for post card quality pictures! All flights are private with a two person minimum charge, kids under 12 free. Max weight per person is 300 lbs. or 136 kgs. Cost: $120 per person, 3rd passenger $80. This will be our longest tour ride to offer. It’s a combination of route 1 and route 2, with a small extension towards the south. Instead of turning back when reaching Virginia key we will head all the way down to the Cape Florida Lighthouse.The Cape Florida Lighthouse is located at the most southern tip of Key Biscayne in Miami-Dade County.This piece of South Florida history marks a reef 3 to 4 miles off-shore, and still marks the Florida channel, the deepest natural channel into the Biscayne Bay. As we head north on the west side of the island we will see Bill Baggs Cape Florida State Park and its green areas, for all our nature loving passengers considering that in 2005 it was listed as having the 8th best beach in the country.Like the last routes, this tour can be done during day time, twilight, and evening hours. This whole flight will be 55 minutes long. This romance tour has been taken right out of a fairy tale. It is one of popular choice for couples who want to celebrate something special - whether it's birthday, an engagement, or anniversary, Its the ideal way to sweep your partner off your feet and make them feel like theyre on cloud 9! The sunset tour of the entire Miami Shoreline! The High Rise Tours of of Miami Beach! Tour of Key Biscayne, where you can witness Miami's exotic marine Life from the ocean!